Professional Graphic Design at unbeatable prices! Look as good as you sound! You only have a moment to make a great impression. 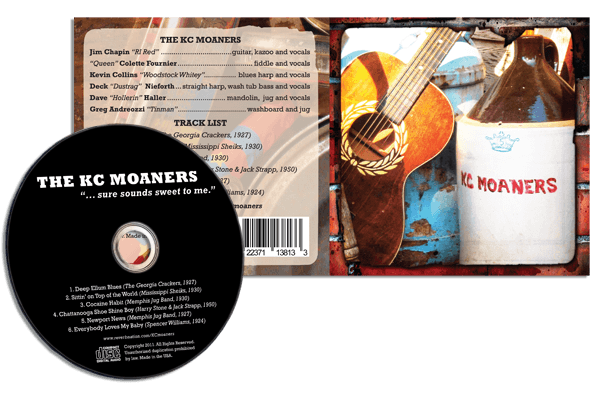 Your CD has to catch the eye and grab the attention of your customers and industry pros alike. The graphic artists of The Design Studios at National Media Services know what it means to exceed your expectations. After all, that's what they do all day, every day! From custom logo and merchandise design to CD and DVD packaging to custom marketing and mail pieces, the award winning graphics department at National Media Services can do it all without breaking the bank! 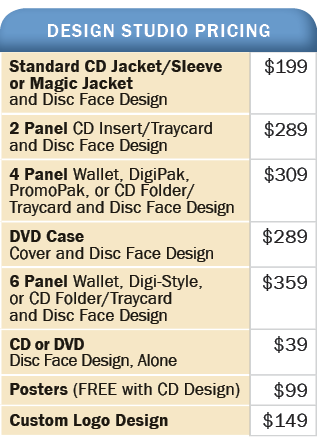 *Design Studio package design pricing includes one physical proof sent by USPS Priority Mail and CD Label Design - A $39 value!